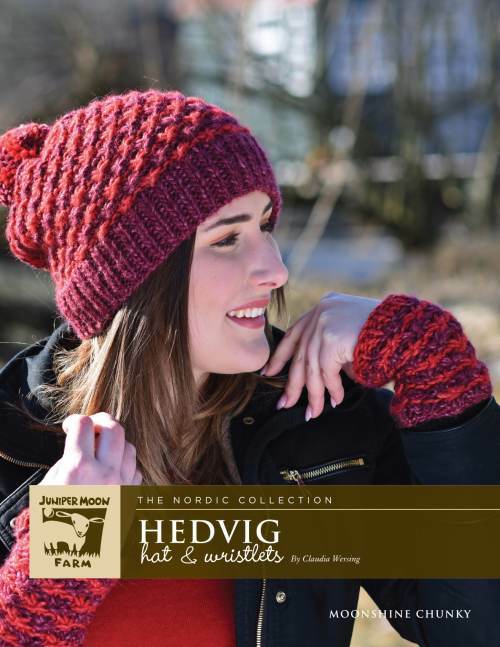 Check out some of the garments & designs found in Moonshine Chunky - Hedvig Hat & Wristlets. FINISHED MEASUREMENTS Hat To fit head circumference: 18 (19 ¾, 21 ¼)“/46 (50, 54)cm. Length: 9 ¾”/25cm. Wristlets Length: 6”/15cm. Width: 7”/18cm.